Unlike other tag punches which limit tags to a predefined size and style, our AnySize Tag Maker punch can create tags of any size and style. The two included elegant corners allow for different styled tags. And the positionable pinhole punch and wide slot punch enable different tag orientations. Make vertical tags by placing a hole on the wide end. Holes can also be placed on both ends to create a banner or label with ribbon ties on both ends. 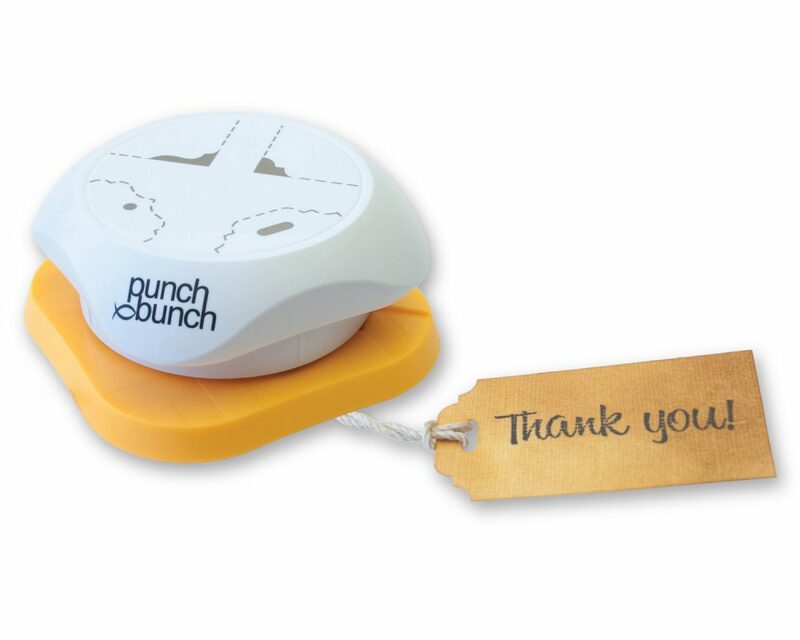 The AnySize Tag Maker Punch offers unparalleled versatility and flexibility for a multitude of different projects.